Holiday break will be here before you know it! While most like to think of winter break as a time to forget about school for a while, preparing early for the spring semester will be worthwhile. Below are a couple of ways you can prepare to kick off the spring semester. 1. Purchase textbooks as soon as you know your class schedule. Textbooks are costly, and waiting until the last minute means the cheapest books will be sold out and companies may not have as many special offers. Start searching different sites and comparing prices of books early while supplies last to help save some money and save you from rushing right before classes start in the spring. 2. Start planning for spring and summer internships and/or job opportunities. Winter break is a great time to start looking for jobs and internships, especially for the summer. Once the school year starts you may not have much time. 3. Plan out your schedule. Take some time to think about how to appropriately allocate your time for success. While planning out your schedule, it may provide insight on some goals you may want to accomplish during your time in school or help in planning out the remaining semesters before graduation. These are just a few ideas for success in the spring semester. 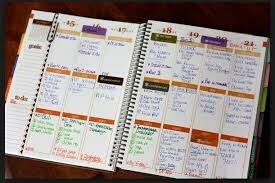 Once classes and extracurricular activities start, schedules can get very busy, so prepare ahead of time!